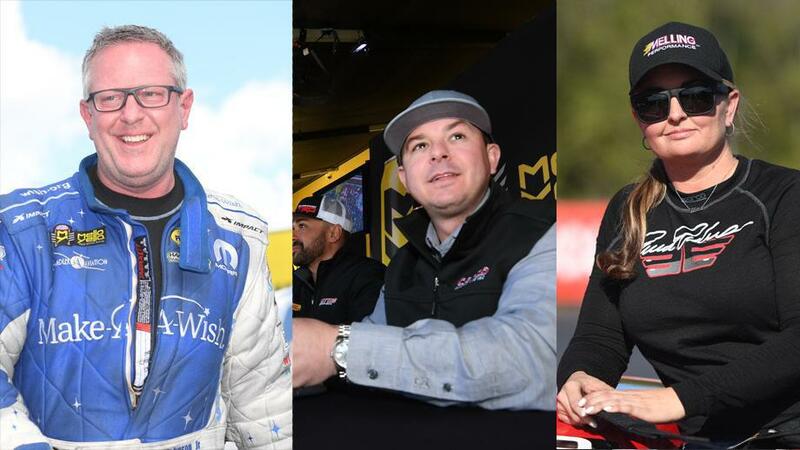 Strength of 2018 Countdown to the Championship runs combined with solid Lucas Oil NHRA Winternationals keep racers at top of table. I know – they didn’t win the Lucas Oil NHRA Winternationals. We already have a stat for winning a race. It’s called wins. Now that we have that out of the way, let’s take a quick look at the first Power Rankings update of the season. You can see the full table here, but I’m going to focus on the three leaders and how they ended up there. The current game plan is to use the “last six race rating” to sort racers until we hit the Arby’s NHRA Southern Nationals in Atlanta. That’s race No. 7 – so, once that sample size exceeds the six-race mark. It just doesn’t make any sense to order Power Rankings based on one race. If you’ve already checked out our first Power Ranking update, you know you can see how racers fared based on their Winternationals performance. That means rankings are currently based on races starting at the AAA Insurance NHRA Midwest Nationals (St. Louis) through the Lucas Oil NHRA Winternationals (Pomona). As such, it shouldn’t come as a surprise Torrence ended up on top of the heap. We’re only displaying active racers, so Courtney Force, Tanner Gray and Del Worsham are not displayed despite having scores good enough to get ‘em there. Same goes for Blake Alexander, who moved to Funny Car this year. This is just because, well, you only care about how active racers compare to active racers. No disrespect meant to this fine group of competitors, who certainly earned the marks they got. Apologies for the long preamble. Let’s get into Top Fuel. No, he didn’t win the race, and yes, his reaction times were poor in Pomona (save for a .060 in the semi’s) but … he’s been to six finals in the six races we’re counting and won five of them. No, we don’t take wins into account in this rating (that’s a good thing) but his average elapsed time is 3.732 and his average reaction time is a .067. Antron Brown and Doug Kalitta claim better reaction time averages over that span, but nobody boasts a quicker dragster. Torrence also gets down the track 87.5 percent of the time, a factor in Power Rankings. That’s ridiculously consistent in any category, let alone a Nitro-burning class. Torrence didn’t get down under power in the final against Kalitta, and his light was poor. That hasn’t happened much since the U.S. Nationals … and it probably won’t happen much the rest of this year. Video – Tommy Johnson Jr.
Johnson can make an argument for being the least lucky racer in NHRA Drag Racing. He averages a .069 light; a 3.931 elapsed time and his car gets down the track 90 percent of the time. But when the Make-A-Wish car stumbles he never catches a break. That happened again against Jack Beckman in the semifinals, as Johnson whooped his teammate at the starting line (a three-hundredths advantage) but smoked the tires shortly thereafter. Johnson hasn’t won for more than a year, but it certainly feels like a product of bad luck more than anything else. He’s my dark horse candidate for a championship in 2019, and the team’s performance in Pomona did nothing to dissuade me from that stance. A little bit of luck will go a long way towards a win, and ultimately a title. If Enders posts another .070 reaction time this year, I’ll buy the opponent who benefits a Budweiser. Bo Butner knows he got away with one in the semifinals in Pomona, especially after Enders tattooed the tree in the first two rounds. She didn’t have much luck during the Countdown to the Championship, but she’s got a great car right now and despite the hiccup in Pomona, she’s the best driver in the category. That being said, it’s tight at the top. Rodger Brogdon showed what good power can do during qualifying. A mechanical malfunction took him out of commission in the first round, and I don’t think that will happen again this season. He might not leave like Jeg Coughlin Jr. and Enders, but it might not matter much if that Camaro runs like it did in Pomona.